What do I need to do this summer for livestock traceability? There is nothing different you need to do for this summer. However, since 2000, fairs and exhibitions have been deemed responsible to ensure all animals who arrive on the grounds have approved tags. 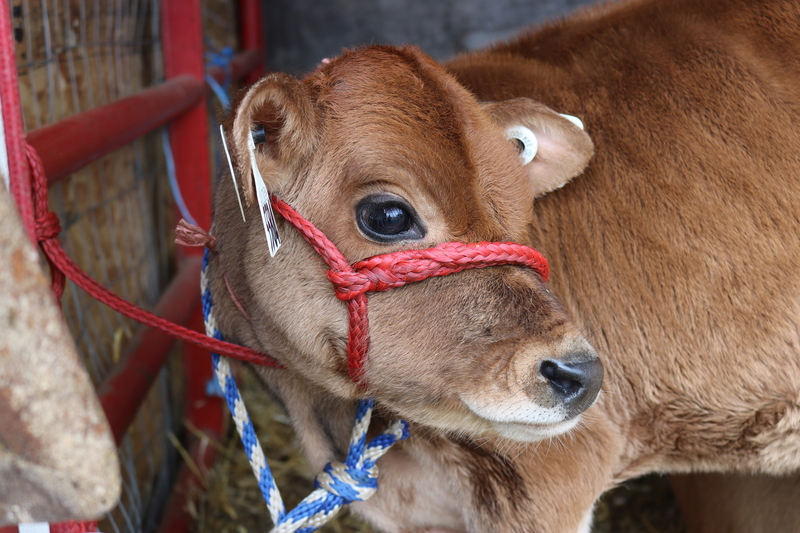 The best practice to be compliant with this is to tell all exhibitors that their animals will not be allowed on the grounds if they are not properly identified with an approved tag. You can include these in your rules and regulations and include signage on your grounds at your entrances to support this regulation. Should I be tagging animals on my grounds? We do not recommend you be responsible for tagging animals for liability reasons. Instead, we recommend that you do not allow animals on the grounds that are not tagged, and if a tag is removed or lost that the owner of the animal replace the tag as soon as possible. Why did the Canadian Cattle Identification Agency (CCIA) email me? As part of the proposed changes, you will need to get a premise identification number (PID), and the CCIA is building their database of PIDs. To get a PID, please contact your provincial representative. What animals are subject to livestock traceability? Currently, cattle, bison, sheep and pigs are subject to livestock traceability. Where does the fair and exhibition industry stand on this? The provinces and national organization (CAFE) have signed a position statement on livestock traceability. We are not in favour of fairs and exhibitions being responsible for tagging and reporting. Monitor your inboxes for emails from CAFE and your provincial association regarding next steps. What is going to possibly change? There are proposed changes that will mean your fair or exhibition will be obligated to record and submit when animals arrive on and leave your fairgrounds. As well, goats and cervids would be subject to livestock traceability regulations. When will these changes likely happen? We have just received notice that the earliest these changes will be discussed is Winter/Spring 2020. Which means final approval will not occur until late 2020 at the earliest. You will likely have to implement changes in 2021. The regulations need to be published in the Canadian Gazette (Winter/Spring 2020) with a 75 day comment period. The comments are then reviewed and the final version will be published in the Canadian Gazette. Once the final version is published, the rules will be implemented. Help us foster the next generation of leaders in the fair industry by participating in this contest! The Canadian Association of Fairs and Exhibitions (CAFE) is a charitable organization committed to fostering excellence through innovative leadership with partners and key stakeholders, providing meaningful resources, collaborating to increase national awareness and ensuring a sustainable future for the fair and event industry. The funds from this contest will help offer an expanded training program to future leaders. For more information about CAFE click here. A VIP Midway Experience: Included is an “experience concierge” for three hours of guided front of the line access to Midway rides, free game play and food. 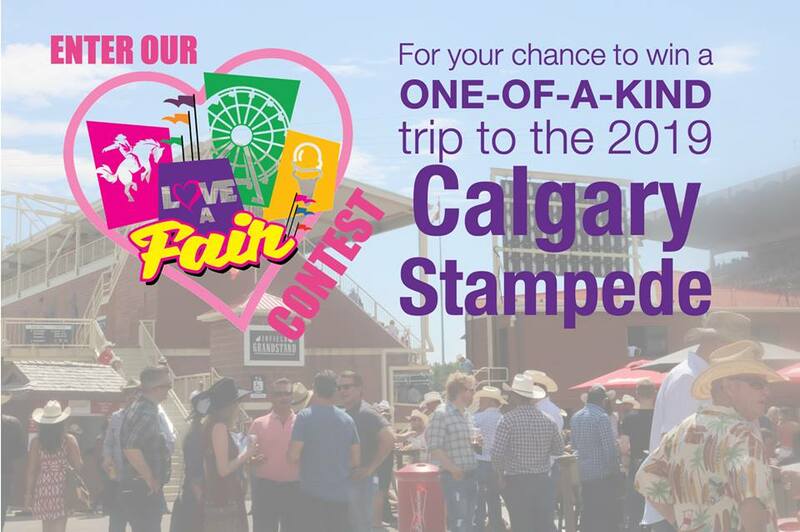 Special thanks to the Calgary Stampede and North American Midway for donating to this fundraiser. 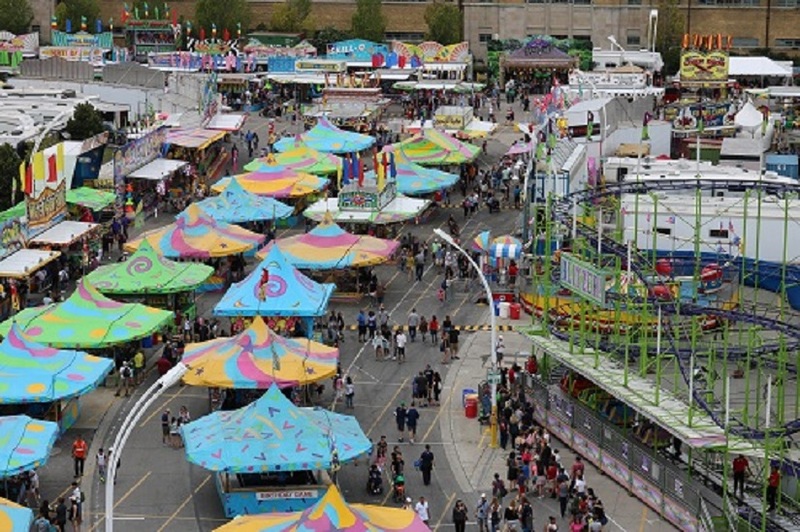 March 20, 2019 (Brandon, MB) – The Canadian Association of Fairs and Exhibitions (CAFE) is pleased to see one of their recommendations to the Federal Finance Committee has been implemented. Last fall, CAFE provided recommendations to the Federal Finance Committee for consideration to support fairs and events across Canada. After the release of the 2019 federal budget yesterday afternoon, the government announced $24 million over two years to support, “more festivals, large-scale and community-based celebrations and commemoration initiatives.” This funding will be provided to the Building Communities Through Arts and Heritage Program and the Celebration and Commemoration Program. CAFE also welcomes funding that will directly and indirectly support the industry and our communities. Funding to support capital infrastructure repairs, the proposed Canadian Experiences Fund, improved rural broadband internet and improving efficiency in buildings are all programs that will help fairs and events across Canada become sustainable and competitive, particularly in rural communities. A final consideration CAFE would like to see in the future is dedicated funding to the newly created department of Rural and Economic Development to move their mandate forward without having to rely on inter-departmental funding. Over the past year, CAFE presented a brief to the finance committee, made a presentation in Manitoba, and met with several Ministers of Parliament in order to ensure there was a strong voice at the federal level for fairs and events. CAFE is a charitable, service-based organization established in 1924 that represents almost 800 rural and urban events across Canada that see 35 million visitors each year and contribute $1 billion to the Canadian economy. CAFE supports stakeholders who have a direct interest and link with the Canadian fair and exhibition industry. 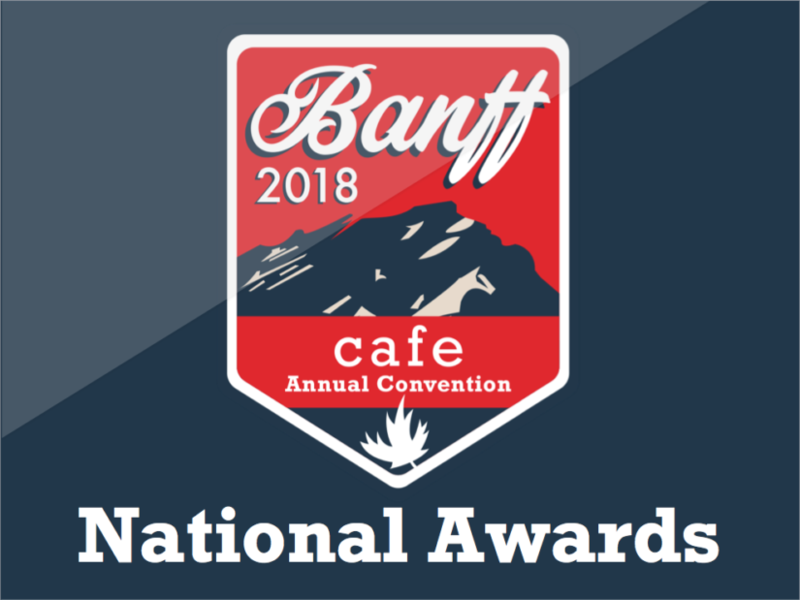 BANFF, AB | November 22, 2018 – The Canadian Association of Fairs and Exhibitions (CAFE) is pleased to announce this year’s award winners. Each year, CAFE accepts nominations for several awards to recognize leaders in the fair industry. A panel of judges evaluates the submissions and selects the winners. Recognizing innovation at a fair or event that has enhanced the event through beautification, engineering, programming, etc. Intended to recognize exceptional performance and leadership from the “up-and-comers” in our fairs and events. Recognizing volunteers or staff members who has continually exceeded expectations within their fair or event through their actions and involvement in the fair community. Established in 1979, this award is to recognize distinguished service by an individual or organization to the industry.